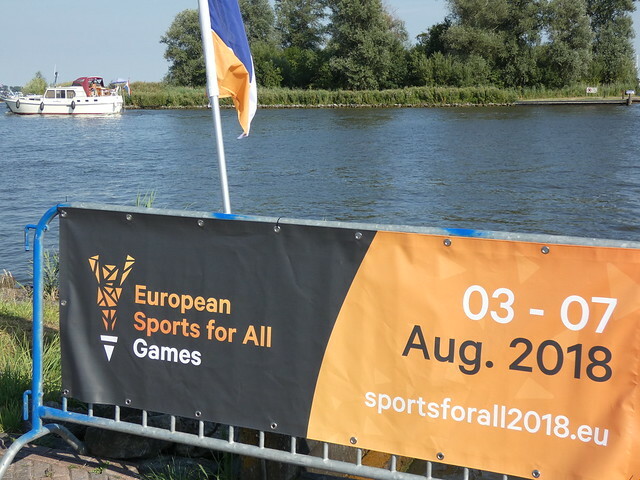 The event's Opening Ceremony took place in Sneek as a joint event with the launch of the 83rd Sneek Week and was followed by a ship parade whereby delegations proudly waved their flags on the waters of Sneek. Throughout the week many traditional games were introduced in cities such as Sneek, Grou, Leeuwarden, Harlingen and Heerenveen among others. Games' guests, of all ages and ability levels, were invited to learn about and try out sports and games as eclectic as cheese rolling from Italy, Fierljeppen from Fryslan, Pyrogue from French Polynesia and Highland Games from Scotland. A traditional sport from Fryslan, Fierljeppen requires strength, agility and great technique. The Games were concluded on August 7th with the 2nd TAFISA Europe Conference.